Cambodia is one of those countries that people want to visit for many reasons. If it’s not Cambodia’s world-famous Angkor Wat, there’s the killing kills and then there is the beaches and Islands that are some of the best in the world. Checkout some the best things to do in Cambodia. But it’s important to be prepared, you’ll get the most out of it by learning all you can before you arrive and learning from my experiences visiting Cambodia. 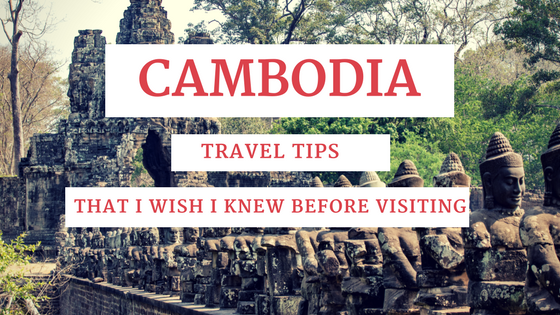 Here are 8 Cambodia travel tips, that I wish I knew before visiting Cambodia. The Riel is the official currency of Cambodia. The US Dollar is used for anything greater than 1 dollar. If change is less than 1 dollar, you will get Riel. When you are using a local ATM in Cambodia, it will dispense in dollars. I don’t recall been given an option to choose either Dollar or Riel. In some cases, you will be paying for things in 2 currencies. It takes a while to figure it out, as the Riel starts to build up. Generally 10,000 Riel is equal to 2.50 Dollars. Always ask what the conversion rate is. Don’t expect to get great WiFi in Cambodia. A lot of hostels and hotel provide interest access but it generally poor and unstable. At best at times you’re doing well to check your emails. In saying that there is aways the option to but a local sim for 2 Dollars and 2G data for 7 days for another 1 dollar. And use your phone as a hotshot. This is a reasonable solution but the data at times is not great but works. The toilets are not the best in some cases pretty awful. The public toilets are used by loads of tourists and locals each day and the toilets are not regularly maintained, expect to be shocked. If in rural areas, there’s no avoiding the squat toilet. Remember, to always begin a toilet roll with you everywhere in Cambodia. The bar and restaurant toilets are a bit better but in general there may only have one toilet for all there customers. Don’t expect something fancy. You’ll find them begging mainly at touristy spots or where tourist go to eat and drink. Yes, its looks sad to see little kids begging in dirty clothes at all hours. Firstly, if you give one kid money, it will attract others kids over to you. Secondly, the kids parents send these out to beg from tourist as a business venture, instead of sending them to school. The Cambodian Government actively encourages tourists who want to do good to donate to local schools and charity organisations instead of giving money to beggars. If you have an intolerance to mosquitos, be prepared. On my travel I was absolutely eaten by them. Get some mosquitos spray and use it regularly. Plus bring some medicine for mosquito bites, as mosquito bites are well-known for spreading other diseases like the Zika virus and Chikungunya. I was there in rainy season which is generally between May to November. It’s very hot and very humid but when it rains, it really rains. The rain can last for couple of hours with lightning and thunder. And between November to February, temperatures drop to the low 20s. Cambodia was some of the nicest beaches and Islands in the world. In Sihanoukville there is nice beaches with a good night life. A quick boat ride away, you can be on the paradise Island of Koh Rong Samloem Island or Koh Rong Island. To visit Angkor Wat, a entry permit or Temple Pass is required to enter the Angkor temples unless you are Cambodian. The entry permit is valid for all of the Angkor temples in the area. A 1-day pass is $37 USD, 3-day is $62 USD, and 7-day is $72 USD. Remember to bring a lot of water, you will need it. Cambodia has lot to offer for most people but it’s important to be prepared. Like any trip, you’ll get the most out of it by learning all you can before you arrive. Hope these tips are helpful, if I missed anything please leave a comment. And that’s it for now! 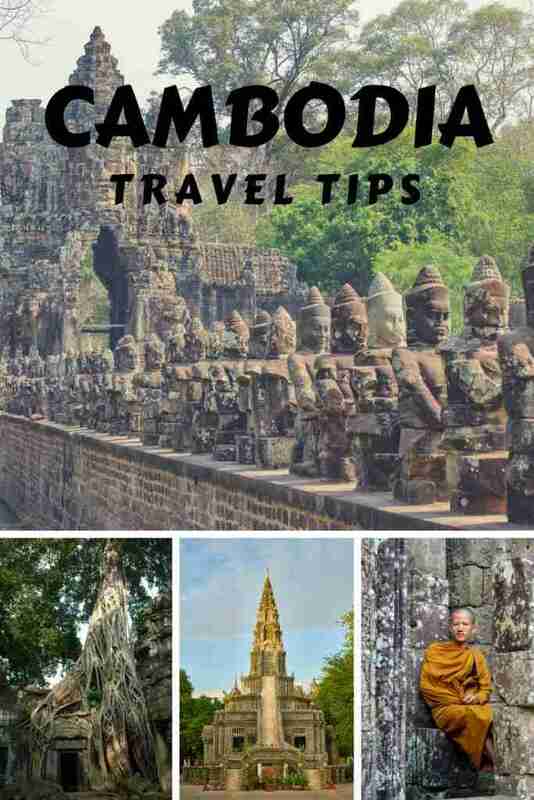 And I’d love to know if this guide on Cambodia Travel Tips has helped you. Let me know if you have any questions and let me know if you go.